Most authors have some ritual they carry out the day their book is published, and while I’m sure most are fascinating, mine involve shots of American Honey and a big hunk of Velveeta Cheese. Believe me, I earned both. Publishing a book is like having a baby and, I tend to think, far more painful. There’s no epidural for the anxiety that grips you when you realize your baby, your pride and joy, your heart and soul, will be released into the cutthroat world of publishing where anyone with an Internet account and an attitude can say whatever they like. Mama warned us about listening at keyholes, didn’t she? Boy, was she right. 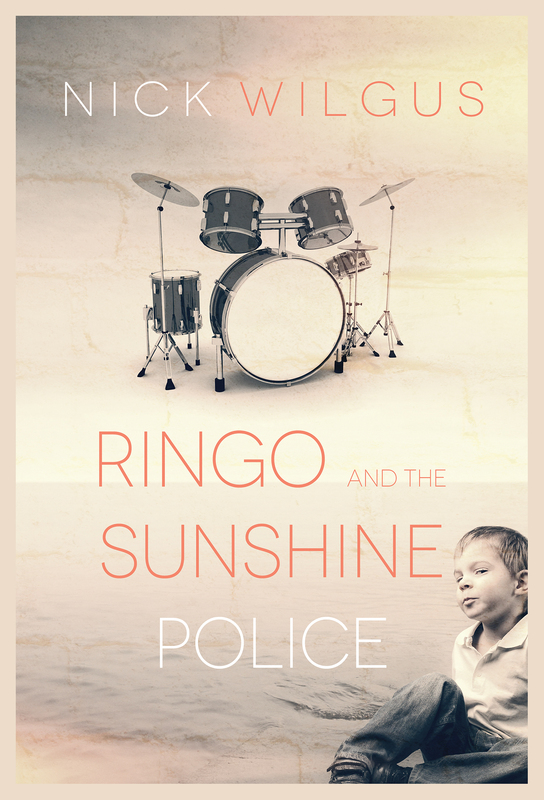 At any rate, today is the day that RINGO AND THE SUNSHINE POLICE hits the shelves, and I am once more reduced to a gibbering, neurotic mess. I could tell you how cool and calm and collected I am and I would be lying, and you wouldn’t like that, so I’ll just let it all hang out. Publishing a book is hell. It’s not just about hits and clicks and making dough. It’s about a whole lot more. Every book, of course, is a tissue of lies designed to tell the truth about something. And the truer that something is, the more painful it is to write. My problem is that I’m not especially good at writing unpainful things. I tried once. It was the worst eight pages of my life. If I’m going to sit down at a keyboard, I’m going to spill my guts and slit my veins and make a bloody mess of things. That’s how you get at the truth. Grab the scalpel and get busy. If you’re going to say something, well, by God, say something. My readers—and I do have them, as Ellen might say—know what I’m talking about. I’ve been accused of taking no prisoners. They say like it’s a bad thing. Like most of my novels, RINGO started with an image in my head and little else. That image was of an older man, about my age, showing up one day at the DHS to pick up a child and get busy with the business of adoption. The child had no arms. And the man, you might say, had no clue. But somehow they found each other … and something happened. A couple of years ago, gay marriage came to the state of Mississippi in a stunning decision by the Supreme Court. And … something happened. It was the first time in my life that I’d had any rights as a gay man. It was astonishing. Shortly after, I went to the local DHS office and said I wanted to adopt. I waited for them to laugh. They did not. Instead, they handed me a bunch of forms and fingerprinted me and sent me to parenting classes. Since then, I’ve been licensed, and by Christmas of this year, I will have two chicks under my wings who will have new last names and new futures to look forward to. Both were badly damaged. Both waited a long time for a family. One was in the care of the DHS the longest of any child in this state: 14 years. The other had PTSD from all the crap he’d been put through. So RINGO is about kids. But it’s also about older gay men who have been living under the gun down here in the buckle of the Bible Belt who are now emerging from the shadows and trying to build new lives and make sense of this Brave New World. Be warned, gentle reader: If you need your characters to be flawless and gorgeous and rich, you’re in the wrong place altogether. I don’t do flawless. I do wounded. I tend to believe the wounded are far more interesting. And you’ll find plenty of wounded souls in RINGO. You’ll also find a few laughs and a lot of healing. As RINGO hits the shelves, I will celebrate with my American Honey and a hunk of Velveeta Cheese and anxiously await the reviews. I hope readers will like my baby and say nice things about her. (We all like to hear nice things about our kids, you know.) But no matter what happens, I will know I told the truth about something even if it was just a bunch of lies. As always, you are invited along for the ride. Might want to bring a box of tissues for this one. I’m giving away three ebooks from my back catalog. To claim one, and to celebrate the fact that RINGO is set in my hometown, Tupelo, Mississippi, I have one question you must answer: Who is Tupelo’s most famous son? 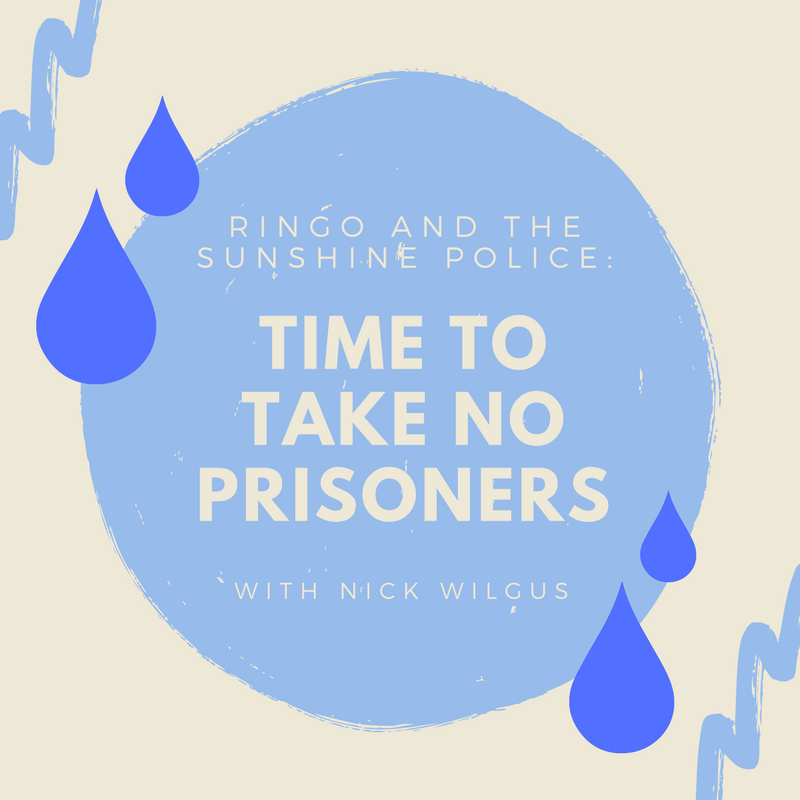 Check out Ringo and the Sunshine Police today! I sold my first short story to The Horror Show Magazine at the age of seventeen and I’ve been writing ever since. From murder mysteries to romantic comedies featuring gay couples, I’ve been channeling my dreams and demons for almost four decades. Along the way, I picked up a Lambda Award nomination, was named one of the best columnists in the state of Mississippi, and had an award-winning movie based on my first novel, MINDFULNESS AND MURDER. A former newspaper editor, I’m a proud dad who lives in Tupelo, Mississippi right down the street from the house where Elvis grew up. Tupelo’s most famous son is Elvis Aron Presley. Tupelo’s most famous son is Elvis Aron (or Aaron) Presley. Happy release day! I loved ‘Shaking the Sugar Tree’ and have ‘Stones in the Road’ waiting on my Kindle. So happy the adoptions are going through. Fancy living down the road from where Elvis grew up! Elvis Presley. Congrats on your two little chicks! Big Congrats on your upcoming adoption!! We adopted our daughter 12 years ago and I can still remember the excitement and nervousness. Elvis Presley! How I love his songs….